Panama City Beach is a waterfront town and vacation destination on the Emerald Coast of Florida. It’s known for it’s miles of sandy white beaches fronting the Gulf of Mexico, and for it’s raucous spring break parties. Popular theme parks include Gulf World Marine Park, offering swimming with dolphin experiences, and Shipwreck Island Waterpark, featuring waterslides and pools. St. Andres State Park is one of 2 protected nature preserves nearby. There is 27 miles of beaches with miles of hiking and biking trails, and 100 public beach access points. It goes without saying that there’s a lot to see and do in Panama City Beach. As you explore, you’ll find that each area has its own unique flavor and character. 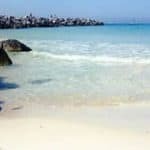 The waters here are famous with fishermen and scuba divers who enjoy the benefits of dozens artificial reefs located offshore, and with a coastline that angles slightly toward the west, in Panama City Beach you can watch the sunset over the Gulf of Mexico every day of the year. Our Panama City Tourism Guide will give you all the information you need to plan your Panama City Beach vacation. To visit all the great beaches of Panama City Beach and the Emerald Coast, click here. Over the course of a year, the temperature typically varies from 44°F to 88°F and is rarely below 32°F or above 92°F. The warm season lasts from May 21 to October 1 with an average daily high temperature above 83°F. The hottest day of the year is August 19, with an average high of 88°F and low of 75°F. The cold season lasts from December 6 to February 28 with an average daily high temperature below 67°F. The coldest day of the year is January 13, with an average low of 44°F and high of 61°F. There are two airports close to Panama City Beach, Florida. Of course Northwest Florida Beaches Airport is going to be the closest, as it is in Panama City Beach. Destin-Fort Walton Beach Airport is the next closest airport, and is approximately 46 miles from Panama City Beach. To create a fair watch, go to AirFareWatchDog which will alert you when the flights are going down in price. Also check my airfare tips on how to make sure you are getting the lowest fare. For finding the lowest fare, go to CheapFlights. I find them to be the best for flight comparison, and getting the best deal if you are ready to purchase. Once you have your airfare, make sure you reserve your airport parking ahead of time. You can Save On Airport Parking and not have the last minute hassle (been there) of trying to get parking reserved. 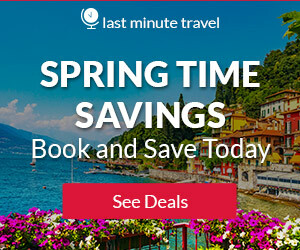 Plan ahead and reserve your Dollar rent a car in Panama City, Florida today! Not only do you get to pick out the ideal vehicle, but you’ll be able to book rental cars at the lowest possible prices. Simply enter your search preferences and select a cheap Dollar rental car in Panama City that’s perfect for your journey. You’ll be on the road exploring Panama City before you know it. Totaling over 6,000 sq. ft. of wood, the outdoor deck lets you take in the Florida sun and landscape of the “World’s Most Beautiful Bea-hes”. All while you sit back, relax and enjoy. Great Food. Great Drinks. Great Stories. It’s all part of the Runaway Island experience. Go visit them today for lunch or dinner. After all, life is short… Run Away. For more information call 854-634-4884 or visit Runaway Island Beach Bar & Grill. Spinnaker Beach Club is one-of-a-kind! Right on the beach… a family friendly restaurant during the day. At night, a laid-back place to relax, enjoy live music, dancing and classic beach club entertainment. The view is breathtaking. The food is delicious. The entertainment is second to none. For more information call 850-34-7892 or visit Spinnaker Beach Club. 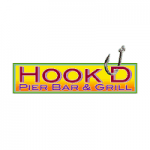 Experience real Panama City Beach flavor and style at Hook’d Pier Bar and Grill. They have beachfront dining and an amazing selection of freshly caught seafood. A family friendly restaurant, they offer made to order entrees in a casual and inviting atmosphere. From their mouth-watering fish tacos to their consistently delicious gumbo, they’ll have your taste buds satisfied in no time! Some more of their customers’ favorites include our juicy burger, fresh oysters, and our delicious shrimp made with their original sauce. Their extensive menu is full amazing options you won’t be able to resist. Hook’d Pier Bar & Grill is a dog friendly restaurant with a full bar, offering live music on the weekends. With superior service and consistent flavors, they have remained the locals’ dining destination with friends or family. You’re sure to find something that will suit your appetite on their menu. You won’t find anything better! For more information call 850-233-8232 or visit Hook’d Pier Bar & Grill. 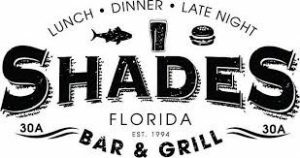 With the largest selection of on-tap draft beer in the Florida Panhandle, Shades knows that whatever your drink, they’ve got you covered! They also are proud to offer the most current seasonal selections of premium draft beer including local specialty beers such as Grayson 30A Beach Blonde! For more information call 850-231-9410 or visit Shades Bar & Grill. Their extraordinary craft beer selections on tap include some of the rarest and most sought after beers in the nation, making The Craft Bar the only place in Northwest Florida to serve many of these special kegs. They also have an impressive bottle collection and the ability to sell beer “to-go” with their innovative Crowlers. 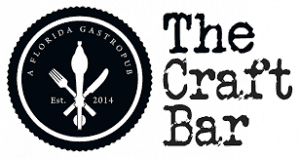 For more information call 850-588-7309 or visit The Craft Bar. At Sisters of the Sea, they want you to enjoy fabulous food in a relaxed setting. So shake off the sand and join them for fine seafood, delicious po-boys, and out-of-this-world specialties. Sisters of the Sea’s award-winning dishes include the Sirens’ Song, a rich broth with steamed mussels, shrimp and scallops. It took the Best of Show at the Mississippi Gulf Coast-based Chefs of the Coast. Also, the Fried Strawberries won a media people’s choice award in Biloxi, Mississippi. Last but not least, Sisters’ Gumbo Gris Gris (with its dark roux, chicken, Conecuh sausage and fried shrimp) even beat out casino chefs to take home a Best Gumbo award. For more information call 850-708-1890 or visit Sisters of the Sea Grill. Firefly is a unique dining experience in Panama City Beach, Florida. Their commitment to excellence shows in their ever-evolving menu, their atmosphere, and their dedicated staff. From the moment you step through the beautiful wooden doors, you know this is not your typical beach restaurant. For more information call 850-249-3359 or visit Firefly. Runaway Island Beachfront Restaurant offers local seafood specialties, live entertainment and frosty drinks all with 2 floors providing a panoramic view of the Gulf of Mexico. Runaway Island was designed and created by locals who know fresh seafood and Panama City Beach. The restaurant boasts over 12,000 sq. ft. of dining space, but the crowning achievement is the outdoor deck complete with a boardwalk that extends all the way to the shores of Panama City Beach. Totaling over 6,000 sq. ft. of wood, the outdoor deck lets you take in the Florida sun and landscape of the “World’s Most Beautiful Beaches”. All while you sit back, relax and enjoy. For more information call 850-634-4884 or visit Runaway Island Beach Bar & Grill. Home of the best burger on the beach. Welcome to the Front Porch where they build the best burger you’ve ever had. They start with only the freshest ingredients and build it just the way you like. Make sure to make it a combo and try their one of a kind fries. I recommend new visitors just get the burger. Yes, the burrito is incredible, the sliders are great (especially for kids), and the hot dogs are legit, but this is a burger joint. And they nail their burgers. For more information call 850-276-7068 or visit The Front Porch. The Wicked Wheel Bar and Grill is home of the Emerald Coast’s Wicked Good Fried Chicken – voted Best of Bay – marinated, hand battered and deep fried in cottonseed oil. Try their New Orleans Style Thin-Cut Catfish which is sure to have you going back for more, and their delicious All-Natural 1/2 lb. Angus Burgers are a favorite with the locals. Put some South in Your Mouth with their southern sides, including beans & rice, collard greens, cheese grits & more! The kids will love it there, and they know you will too! For more information call 850-588-7947 or visit The Wicked Wheel Bar & Grill. Panama City Beach’s sugar white sand is what primarily attracts families, couples and spring breakers year after year. But this vacation haven isn’t just for beach bums. Outdoor adventurers will have plenty of land to explore at Conservation Park and the undeveloped Shell Island, while animal lovers can hop aboard dolphin sightseeing cruises or learn more about the area’s various sea creatures at the Gulf World Marine Park. Those traveling with kids in tow will have plenty to do, too. When little ones aren’t busy building sandcastles on the beach, they can marvel at the oddities at Ripley’s Believe It or Not! or swoosh down water slides at Shipwreck Island Waterpark. St. Andrews State Park has enough attractions and activities to keep every member of your family happy. Along with a nearly 2-mile-long white sand beach, the park also boasts paved bike trails, marked hiking trails, water sports equipment rentals (including canoes, kayaks and snorkeling gear) and shuttle boat tours to Shell Island, a 7-mile long undeveloped barrier island. Additionally, the park provides a concession stand with snacks, souvenirs and fishing supplies. For more information call 850-233-5140 or visit St. Andrews State Park. If you love dolphins, you’ll want to schedule a stop at Gulf World Marine Park. Though the park houses several other species, including sea turtles, stingrays, sharks and sea lions, dolphins are the main attraction here, and one of the major reasons visitors recommend spending a few hours at the park. Similar to SeaWorld, the Gulf World Marine Park hosts animal shows (dolphins and sea lions are the only animals that perform), feeding demonstrations and opportunities to swim with the dolphins and interact with the park’s other residents, including a variety of birds and reptiles. For more information call 850-234-5271 or visit Gulf World Marine Park. If you need a break from the crowds in Panama City Beach, consider making the short trip to Shell Island. This 7-mile-long barrier island runs east to west between the Gulf of Mexico and the St. Andrew Bay. Because it’s undeveloped, you’ll find plenty of coastal creatures and untouched vegetation, plus miles of pearly white sand to sink your toes into. While recent visitors said the natural setting was a relaxing reprieve from the busy, commercialized feel of the mainland, it isn’t without a few drawbacks. Shell Island has no restrooms, concession stands, trash receptacles, picnic tables or shade pavilions, meaning you’ll need to come with everything you need (and take it back with you when you head back across the bay). To get around the fact that the island hosts no facilities, many travelers choose to hop on a charter to the island. This option offers the best of both worlds: You’ll have access to food, drinks and a restroom on the boat, and still be able to play in the island’s shallow waters. For more information on the Shell Island Shuttle call 850-233-0504 or visit Shell Island Shuttle. To learn more about Shell Island visit Shell Island Visitors Information. When you’re ready to explore more of PCB’s nature, head to Conservation Park. As a safeguard for wetlands, wildlife and pine forest, the park is a natural filter, balancing treated water before it travels to the St. Andrews Bay. 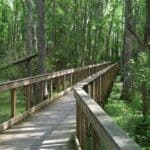 This nearly 3,000-acre park features 12 different trails of varying difficultly and eight boardwalks totaling more than a mile in length. Bring binoculars – you’ll likely spot plenty of birds and wildlife in the wetlands area. Dogs are permitted on leases. No overnight stays, campfires, smoking or open flames allowed. Trails are available for both walking and bike riding. Park of the trails are paved. Choose from 12 trail routes from 0.6 to 11 miles in length. For more information call 850-233-5050 or visit Conversation Park. Consistently described by visitors as a great place for families, Shipwreck Island Waterpark is a 20-acre facility that features a wave pool, a lazy river, several water slides and flumes, and two shallow pools perfect for novice swimmers. True to its name, it’s also home to a replica of a 17th-century sailing ship that allows swimmers to zip line off the ship before dropping into a large lagoon pool. 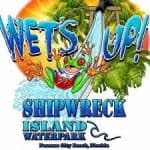 For more information or to purchase tickets visit Shipwreck Island Waterpark. Panama City Beach is first and foremost a beach destination. 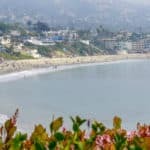 But when you need a break from the sun and surf (or if some clouds thwart your plans), the area has a bevy of attractions to keep you entertained away from the shoreline. Case in point: Pier Park. An outdoor retail, dining and entertainment hub, Pier Park is home to familiar chain restaurants like Olive Garden, Subway and Five Guys, along with popular stores like Charming Charlie, Dillard’s and Old Navy, among others. When you need a reprieve from shopping, head to Pier Park Amusements, the on-site theme park. It features a giant slide, a small roller coaster and a free-fall ride, along with more gentle attractions for young children. Along with the variety of stores and activities, visitors particularly liked how clean and safe the area is. For more information call 850-236-9974 or visit Pier Park. As with other coastal Florida cities, Panama City Beach is a prime spot for both avid and novice anglers to cast a line. 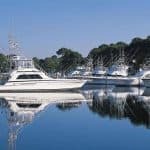 Though you can fish from the piers along the beach and at St. Andrew Bay or directly from the shore, there are also several charter companies that can transport you out into the Gulf of Mexico. Along with their fishing skills and knowledge of the area, most charter captains or operators will provide all fishing equipment and the licenses you need to fish in area waters. Choose your charter company based on how serious you are about fishing. For instance, some companies like The Reel Contender Fishing Charters allow just five anglers on board with trips lasting between five and 10 hours. In contrast, companies like Jubilee Deep Sea Fishing, which describes itself as a “party fishing boat,” may be better suited for more casual anglers. Capt. Anderson’s Marina is another company favored by recent travelers. Showcasing an outdoor pool and fitness center, Fairfield Inn & Suites by Marriott Panama City Beach is located in Panama City Beach in the region of Florida. You can play mini-golf at this hotel, and the area is popular for golfing. ZooWorld Zoological Conservatory is 0.9 miles from Fairfield Inn & Suites by Marriott, and Ripley’s Believe it or Not! is 1.2 miles away. The nearest airport is Northwest Florida Beaches International Airport, 11 miles from Fairfield Inn & Suites by Marriott Panama City Beach. For more information, pricing, or to reserve your room, visit Fairfield Inn & Suites Panama City Beach. This non-smoking hotel offers air-conditioned rooms with panoramic lagoon or resort views. It features an outdoor pool and fitness center. Emerald Coast Beaches are a 20 minute drive away. All rooms at Marriott’s Legends Edge at Bay Point are soundproof and spacious. Each one has a comfortable living room with a sofa and cable TV. The villas have a full kitchen with microwave, dishwasher and stove top. All kitchens have ample cupboard space and a work area. For more information, pricing, or to reserve your room, visit Marriott’s Legends Edge at Bay Point. Located on St. Andrews Bay, this Panama City Beach resort features 2 pools and tennis courts, 2 golf courses, and restaurants. A spa and private beach are on site as well. Two championship golf courses, which includes a Nicklaus Design course, can be enjoyed by guests throughout their stay. A fitness centre is also offered at Sheraton Bay Point Resort. Club 19 is an on site restaurant that serves a selection of soups, salads, and sandwiches for lunch and dinner. Breakfast is also served at Club 19. The Bay Point Lady Shuttle boat to Shell Island, fishing, and water sport rentals is available at the resort. Shipwreck Island Waterpark is 20 minutes’ drive away. For more information, pricing, or to reserve your room, visit Sheraton Bay Point Resort. Hampton Inn & Suites Panama City Beach/Beachfront, Fl offers accommodation in Panama City Beach. The hotel has a year-round outdoor pool and views of the sea, and guests can enjoy a drink at the bar. Free WiFi is featured throughout the property and free private parking is available on site. Gulf World Marine Park is 650 feet from Hampton Inn & Suites Panama City Beach/Beachfront, Fl, while Russell-Fields Pier is 2,950 feet from the property. The nearest airport is Northwest Florida Beaches International Airport, 10.6 miles from the property. For more information, pricing, or to reserve your room, visit Hampton Inn & Suites Panama City Beach/Beachfront. Hello Leahrae, BEAUTIFUL in every way, your website itself, the images of beautiful locations in Florida, the foods, entertainments and the comprehensive information. WOW! Anyone desiring to go to Panama City Beach and find your site, will be very happy with your all inclusive information. I smiled when Sea World was mentioned. I had the pleasure of being there and seeing the antics of the sea lion, dolphins and their trainers – what fun and laughter it was! This made me remember! Thank you, this was well thought out and presented. Thank you so much EJ, glad you enjoyed! I love your website! Panama Beach City sounds amazing. I love American burgers so must check out the cafes you mention. You are very welcome Kevin. I love the beach as well, and that is where I am the happiest. Thanks for visiting Panama City Florida Tourism Guide. 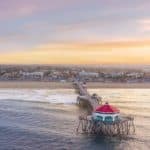 Hi Leahrae, i really love reading your information about all these places, and Panama city Beach sure looks like a place where I would enjoy visiting and having such a great time. There are a lot of things to do! Not sure a couple of days will be enough. I hope I get the chance to go there one day. Thanks for such wonderful posts and guides. Greetings. Thank you Edwin for visiting Panama City Florida Tourism Guide. Yes, you would want to visit for at least a week to relax, soak up the sun, and visit some sights! Yes, Dan she can swim with the Dolphins 🙂 You would really find this to be a great beach vacation for both of you. SO much to do and see and so little time! I’ve never been to Panama before so this guide is really useful. I think my kids would love the Shipwreck Island Waterpark. Panama City Beach looks great! Yes, you need at least a week really to enjoy the beach and see the sights. Shipwreck Island Waterpark is for all ages 🙂 Thanks for visiting! Wow Leahrae. Let me first say that i love travelling and what a nice tour guide. The article is simply amazing and the information is sufficient for any vacationist. Have one small question though, like many tourist destinations there is always an Ugly side brought by people with bad intentions; On the scale of 1-10 how safe is it? Thanks a bunch and stay blessed. I am really going to rank this high at a 9 for safety. I find absolutely no issues when I visit here. It might be a different story during Spring Break with the rowdies. I have traveled then too, and it is just obnoxious college kids. Thanks for reading! Wow, you have an impressive list of comments, blogs and action on your website Leahrae. have you done anything in Hawaii?? Been there a couple of times- Real paradise. Now, I’m biased, as Northern Ireland has some fantastic beaches. Only problem is bbbbbrrrrrrrrrrrrrrr the waters are soooooo cold! You have it all wrong! The water is not cold on the gulf side of Florida, only on the Atlantic side 🙂 The temperature is way different, and yes I do have posts on Hawaii 🙂 I am glad you like Beach Travel Destinations, thanks for visiting! You’ve definitely made me place Panama City on the to-do list! Naturally, the first thing that comes to mind when you think of Florida is the beach, but you suggested some destinations that seem like they’re great. How long do you think it would take to experience all the attractions that you suggested? A weekend, or a week? You definitely need a week, gotta have some beach time too! And the beaches of the Emerald Coast, well the sand is snow white and it is beautiful! You are really an expert in travel destinations. I am a keen traveller and enjoy exploring new destinations. 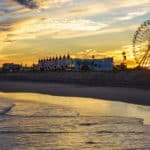 Up to now – Florida wasn’t included in my list yet but after reading your thorough post – I have to change my list and include it as I feel really tempted to go there due to variety of entertainment options. From my experience I know that it is much more convenient to book hotel in such like tourist attractors in advance – long in advance in order to get better prices and better places to stay (especially if one wishes to stay somewhere near the beach). Is it the same with Panama City? No, you do not have to reserve so far in advance. For a place like Las Vegas, yes, but no where in Florida do you need to book that far in advance. Thanks for reading and glad you enjoyed! I’ve never been to Florida but I’ve always wanted to! Mostly because I have a girlfriend who lives there who I met here at work. This is a really informative post. I have never been to Florida but it seems like this could be a great family vacation. Thanks for sharing. Thanks for reading and glad you enjoyed! I love the Descriptions and the pictures with each but the Comments Section makes scrolling take a Bit. Would be nice to section it off a little. Thank you so much for your constructive comments 🙂 …and for visiting Beach Travel Destinations. Runaway Island beach bar grill???? O man, that sounds sooooooo good. I love bbq, and being somewhere exotic and having food like that just seals the deal for sure. If your traveling, you might as well travel in style and eat at the best places. Thanks so much for this. I agree 100% and you will find all of that in Panama City Beach! Once again, you are awesome!! And I see you made it back to the U.S.!! I love how you cover all aspects of the city you review. Panama City looks pretty cool. but then you make all the cities look great. Incredible work. Thank you so much Brent, I am glad you are enjoying Beach Travel Destinations! Such an informative post. My family and I visited the emerald coast two Christmas ago and we absolutely enjoyed it. However, I wish I had this wealth of information before we visited. We have could have really benefited from it. We plan to visit again this year and I will definitely check out some of your recommendations. What is your favorite restaurant in Panama city?. You list so many options but I curious to know which one you like best. Definitely Dee’s Hangout. You have to go there. Wonderful food. 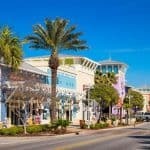 Panama City Beach really is a great place with so many things to do. Thanks for visiting my Panama City Tourism Guide. Thank you for the post, its going into my face book. I feel like this is definitely on my bucket list now. You have everything needed for a vacay! I have a little one and visiting the Gulf world and shipwreck park sounds perfect. I have everything I need on this article, I had never thought of visiting panama city until now. The best part for me is the weather, seems like a great place to visit during spring or fall, summer seems too hot. But this was superb! I like that you have covered everything from dining, fun to transportation. Thank you and am glad it is useful for you. Please let me know if you have any other questions. You are seriously an expert on the Panama City lifestyle based on your page here – I am impressed! I have been to several parts of Florida, but never here. (That may change soon! With all you have to offer from bars and night life to conservational parks, travelers can find something to do in all their respective interests. If/When I decide to vacation here, I will be sure to reference your page! Thanks! I think that Panama City Beach has it all. It has the gorgeous beach as well as a lot of other activities to keep you busy. Thanks for reading Gina! Hi, have just checked out your page and have to say I was very impressed with it. I have never been to Florida or ever had the inclination to go but for anyone who is looking to go you have such a great page that reads great and has so much relevant and important information that people would find very helpful and all your links are great too. I had a look at a few other pages on your site, especially the beaches at Adelaide and your pages on Tenerife. I have been to Tenerife 4 times and am due to go again at the end of April. A girly holiday to Costa Adeje and the last four times I stayed at the Bahia Principe Costa Adeje which is a beautiful hotel and very clean. Would recommend it to anyone and would go back again and again. I love Tenerife as well 🙂 I am glad you enjoyed reading about Panama City Beach. I hope you visit soon! In previously reading another article at your excellent travel site which focused in on all that is offered at Daytona beach, by comparison considering the many things that are offered Panama City seems a more ideal place to visit. Especially if you’re not a stock car racing fan which to me is one of the main highlights of visiting the Daytona Beach area. You mentioned the active night life, destination for college kids on spring breaks and partying! I also noticed a vast number of restaurants, nightclubs, places for family activities on the surrounding beaches and waterfronts, plus the large number of hotels. I can assume that the weather is about the same in terms of quality with Panama being on the western side of Florida versus Daytona being east and on the Atlantic Ocean. Can I assume only visiting Florida once and in April that considering more the humidity that mid-summer it might not be fun for everyone, especially if they’re not used to the hot Florida heat versus say a spring visit? Panama City indeed looks like a place for practically everyone. It would be hard to get bored visiting that city on a vacation. Thanks for the thorough review, Leahrae, something I have always seen on your website! Yes, Jeff I would agree that April would be better…less heat, less humid for sure. And less people. And yes, Panama City Beach has something for everyone. Thanks for reading Beach Travel Destinations. I’ve been to Florida many times – mostly Daytona Beach, Sarasota and Clearwater. But I’ve never been to Panama City, and judging by your article, I’m missing out! Thanks so much for all the information – you’ve included absolutely everything a person would need to plan a FANTASTIC vacation at Panama City!